Our Customers Seem To Think We Are The Best Wheelchair Transportation, Senior Transportation and Non-Emergency Medical Transportation Company in the City! They keep on giving us 5-star reviews! Why Don't You Give Us a Try, call us at: 713-766-4447 Or Get an Instant Quote Online. Get $50 off your trip for each referral! Each time a customer you refer books a trip, we give you $50.00 towards your next trip. Enter your email to get referral link! Your Medical Transportation Questions Answered! What types of transportation do you provide? At Medbridge Transport, we offer non-emergency medical transportation for both ambulatory and wheelchair-bound patients. We also offer non-emergency transportation for seniors, disabled citizens, and anyone else who requires a greater level of personal assistance than what is offered by typical car services. If you need emergency medical transportation, please call 911.Our medical transportation vehicles are ADA compliant, which means they are equipped with special features that make them a safer choice for a wide range of passengers. What is the cost of non-emergency medical transport? We understand that cost is a top concern for many of our passengers, given the costly nature of healthcare, in general. At Medbridge Transport, we pride ourselves on our ability to provide exceptional patient transport services for a very fair fee. Our Wheelchair transportation pick-up fee is $35 and ambulatory transportation pick-up fee is $25, plus a charge of $2.85 per mile.We also value transparency in everything we do, and we are proud to offer you an instant and accurate estimate of cost at the time of booking. Please use the “schedule a ride” feature on our website to learn how much your trip will cost you. For private insurance, you need to get a pre-authorization letter from your insurer.In the markets we serve, Medicaid can only be paid through a broker. If you wish to book a Medicaid trip, please contact your local broker. 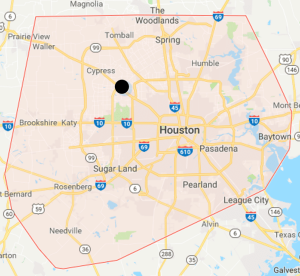 For Harris county the broker is MTM and they can be reached at: 855-687-4786.For all other insurance, you need present us with a pre-authorize letter from you insurer. When and where are your patient transportation services available? We know that your life operates around the clock - long after “normal business hours” - and we know you need a medical transport service that is available when you need it. Our patient transportation specialists are ready for you 24 hours per day, 7 days per week, and we can take you anywhere you need to go in Harris County, Montgomery County and Fort Bend County.For first-time passengers who need to speak with our team or for billing and other administrative needs, our office staff works from Monday through Friday from 9:00 am until 5:00 pm. However, our established passengers are welcome to schedule their ride at their own convenience through our website or by phone. How do I schedule a ride for myself or a loved one? Scheduling a ride for your non-emergency transportation needs is easy! If it’s your first time, give us a call at 713-766-4447 to learn more about our process for assisting both ambulatory and wheelchair-bound patients. While we do appreciate advanced notice and can better accommodate your schedule if you call in advance, we are certainly happy to accommodate same-day requests whenever possible.Please note that same-day medical transport services are most readily available to patients with flexible travel schedules. For specific travel times, please note that advance reservations are strongly encouraged, as our fleet is often booked several days ahead of time. Can a caretaker or other passenger ride with me? How far in advance do I need to schedule my ride? Customers can book trips online 15 hours ahead of time. For any trips less than 15 hours away, customers need to call in. We try to accommodate trips that are at least 3 hours away. Do you offer non-emergency transportation to places other than a hospital or doctor’s office? Yes! Our assisted transportation services can be used for a wide range of non-emergency transport needs. We are thrilled to offer assistance to anyone who needs it, and we can take you anywhere you need to go, so long that it falls within our Harris County service area.If you need assisted transportation for senior citizens, safer transportation options for disabled individuals, or any type of transport for individuals who requires a greater level of personal care than what is offered by most car services, contact us to learn how we can help. We can’t wait to hear from you! We completely understand that plans change and do our best to accommodate. We always appreciate advanced notice. For 24 hours or more notice, there is no charge to change or cancel a trip. We have a $25 charge for cancellations without 24 hour notice. We don't charge for changes; however, do to a moving schedule, we may not be able to accommodate your changes. If we dispatch a vehicle and no one shows up (no show), we would charge a no show fee of half the trip cost if it is a return trip and the full cost if it is a one way trip. Do you provide transportation in a gurney, stretcher or bed? We do not provide transportation in a gurney, stretcher or bed. For such transportation you should contact an ambulance.